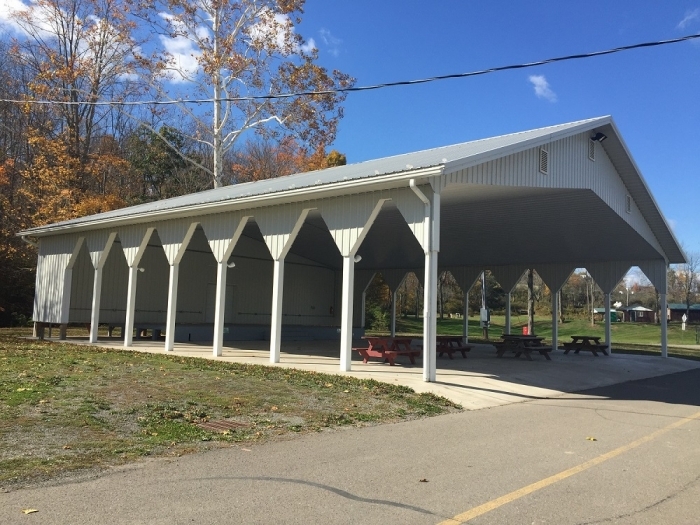 The Lower Meadow Pavilion was built in 2012. It is 60 ft by 64 ft with tall ceilings over 14 ft and a large raised stage. Stage lighting is available. 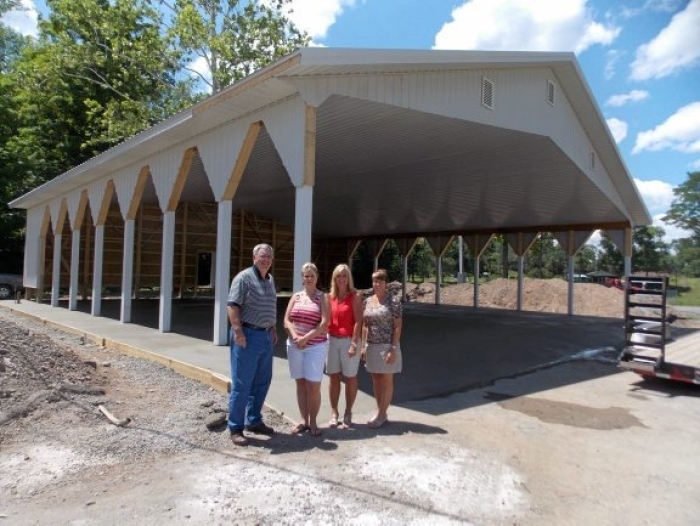 The structure works great for small concerts, family reunions, and large picnics.